What happens when the test team get to play 'what if'? The MJ is the result. 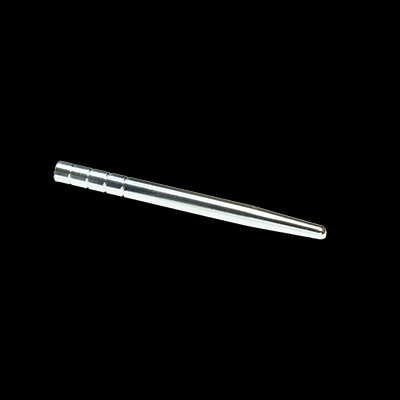 Named after two of our test team, the MJ is a cross between the popular Flange electrode and a Small Torpedo. So if you want all the fun of the flange base, and think the larger head of the Moaner is just too small then the MJ is going to be perfect for you. 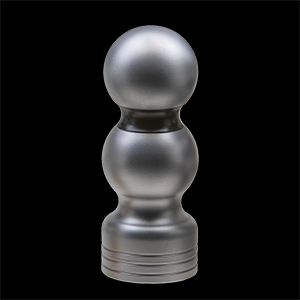 As well as being a fantastic bipolar e-stim electrode the larger head gives a great 'fullness' feeling when inserted. If you are using it anally then the flanged base prevents if from going in too far, using it vaginally means the flange base gives you that little extra contact area just where you need it around the clitoral area. 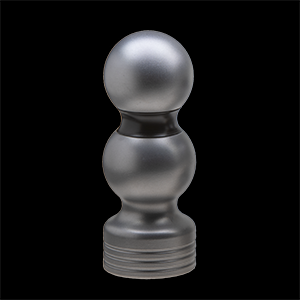 Like most of our premium electrodes the contact points are top and bottom rather than side to side, providing a more natural feeling action when the electrode moves and the design features a recessed mounting bolt and a ridge on the base to aid grip during insertion. Produced to our usual high standards with aircraft grade materials and our new luxurious Satin finish, or an optional polished finish. This electrodes will, if cared for, last for years. The flanged base of the MJ electrode is fitted with heavy duty 4mm recessed sockets in the base. 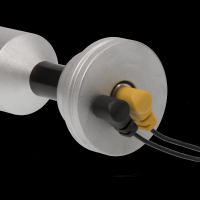 If you are considering longer term insertion of the electrode, then we suggest the use of our low profile connectors as they are much more comfortable and practical when the electrode is inserted, and the subject sits down. 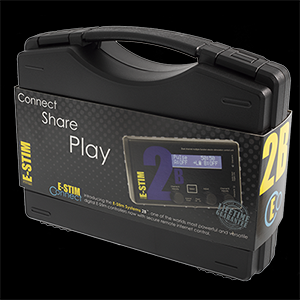 Covered by our lifetime guarantee and supplied in a protective storage tube. Nice well made electrode. The weight makes it stand out from hollow or plastic similar products. The low profile leads are a must.